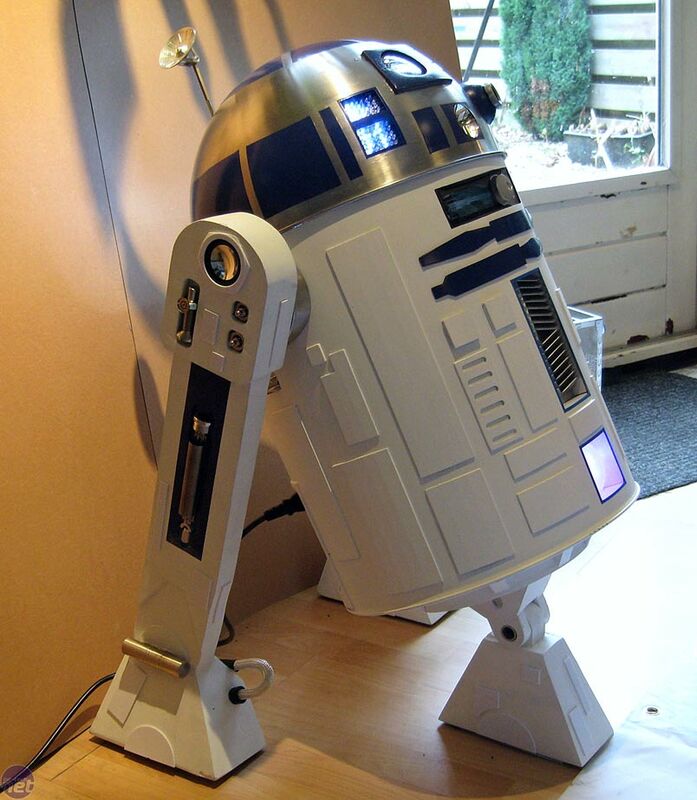 One Star Wars fan/PC modder built this R2D2 case from under $US120 in parts (spoiler: he started with a trash can). By custom cutting a stainless steel trash can, R2 had his base. Now he just needed some detail work. So the modder dremeled like a mad man before adding wooden legs, LEDs and Vikureen polystyrene plating to complete the look. Where the plastic plating would not bend properly, you can see (upon close inspection) that it was merely sliced into strips.